Going for short pipe run as per original Lupo set up, using the reservoir and feed pipe to the pump off the Polo. Had a good look at the reservoir, there is a filter inside it, and it looks clarty -hoping a quick rinse with paraffin with sort it. 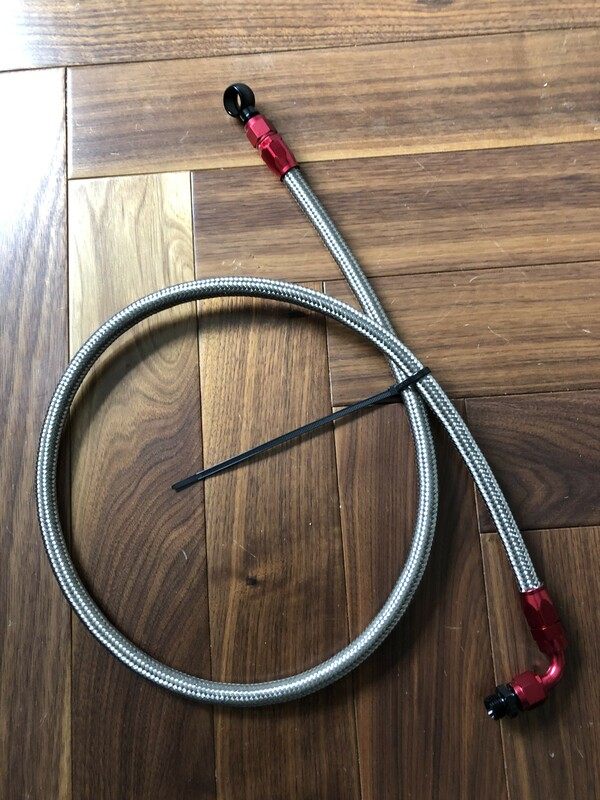 Ordered hydraulic hoses and adaptor for PS pump banjo, only concern is the reservoirs return connection is 8.3mm barb, and the hydraulic hose is a lot bigger than the 3/8th connection, so need to find something to make up the difference in size, not long to wait they should arrive tomorrow. Last night, I bought a new Bosch Blue battery at Costco, along with toilet paper and whiskey - it felt really random - it is the only place I know that does not inflate its prices any time near or around winter. Interestingly the hoses are not sitting on a shelf they make them up, allowing some changes. 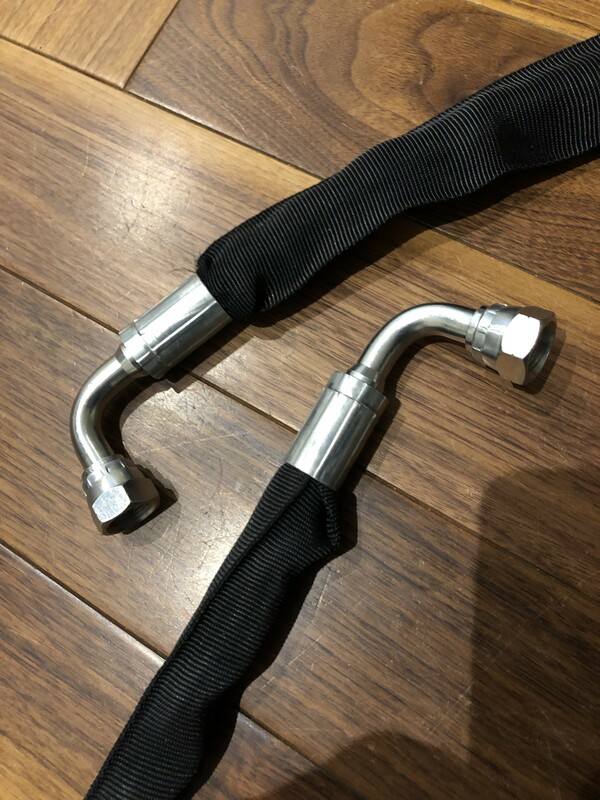 The hose ID of the non terminated hose is 9.7mm and the skinny connection on the reservoir is 8.2mm OD - going to try some self amalgamating tape to make up the difference and x2 good quality jubilee clamps - if it fails I will just revert to the very used Polo return line. Friday - had a go at packing out the return line to the reservoir, a couple of goes with the amalgamating tape and the hose was firmly in place with a jubilee clamp. Tried installing and found out the hose was too stiff, whilst adjusting the reservoir to go into the bracket it gave out a loud crack as the tiny return tube snapped off! - oh well. Saturday - visited a scrap yard, got a few things for the daily Golf and managed to get another reservoir and an OK condition return line. early afternoon was spent fixing more of the dailies faults, thankfully it was mainly successes. Late afternoon- I rolled the Lupo out and got to work. 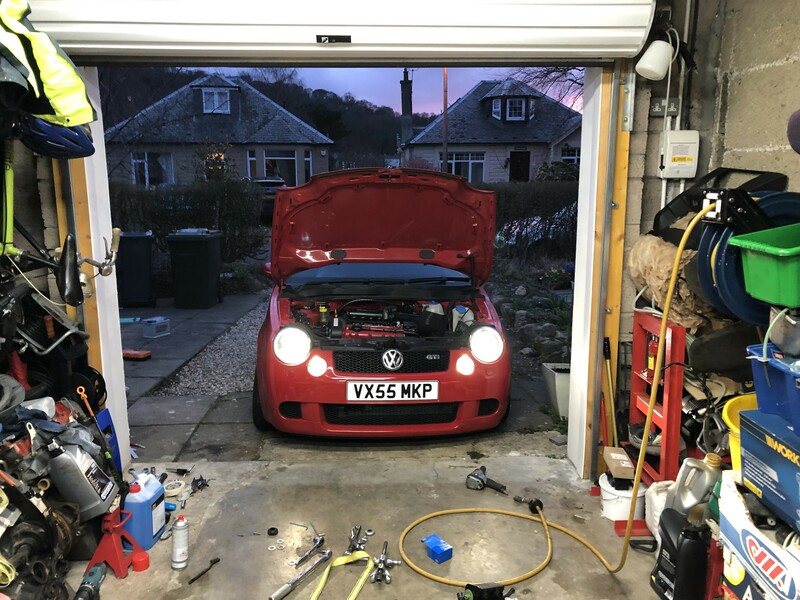 Had another go with the alternator belt, I had a think since the first go about it and forgot how tight the belt is to get on - managed to get it on all the pulleys but only 2/3rds on the PS one this got sorted after I put the new battery in and started the Lupo for the first time since before Christmas. Nice to hear it running. Next was the top mount. 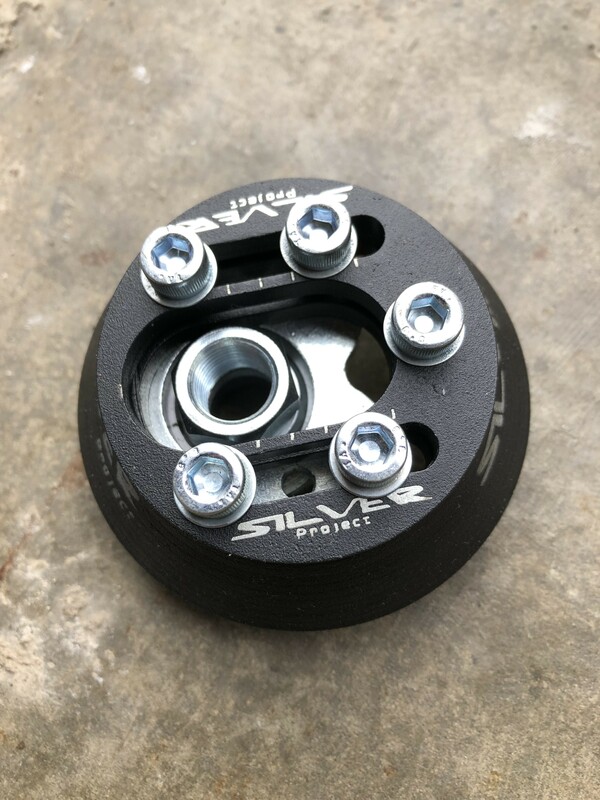 I promised myself when the existing ones failed I would fit Silver Project adjustable top mounts, but wasn't expecting that to happen so soon - Been sitting on these since Christmas! 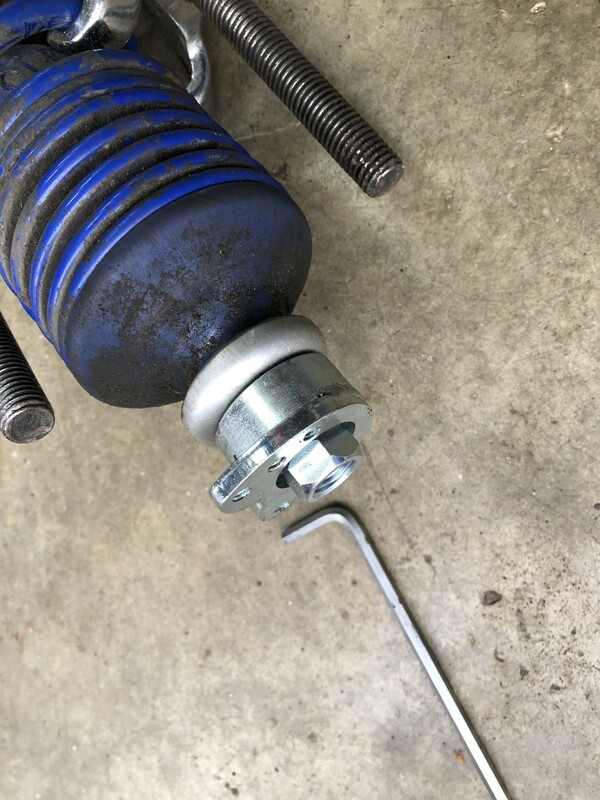 Installation ended up being a bit of a mare, couldnt compress the spring on the coilover, ended up having to take the strut out! But do they still allow a return thump? As in is there still some rubber material between shock and car to avoid destroying the shock return valve? Noice! Same place for hydraulic hoses? Mine weeps at the pump because it was rusty around the hole where the copper washer sits and I couldn't get in there to clean it up better than a hand held wire brush. It was an advisory on MOT and I top up the fluid every few months. 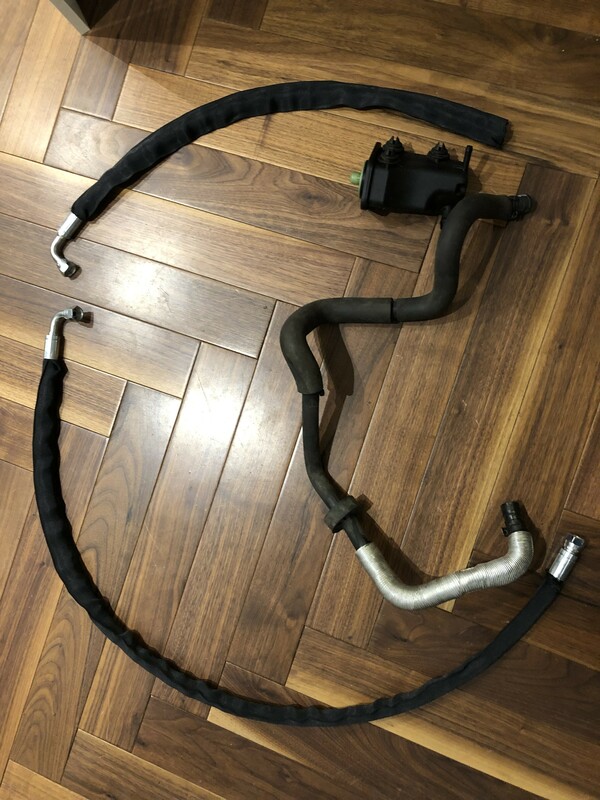 Thank you for going on point with the research on yours - I know we used the same ebay seller, they called me about the spiral wrap - I explained it was for PS pipes, the guy said he did not think the additives in the fluid would be good for the pipe. It surprised me, but if it does fail at least its only £13 for another replacement hose. 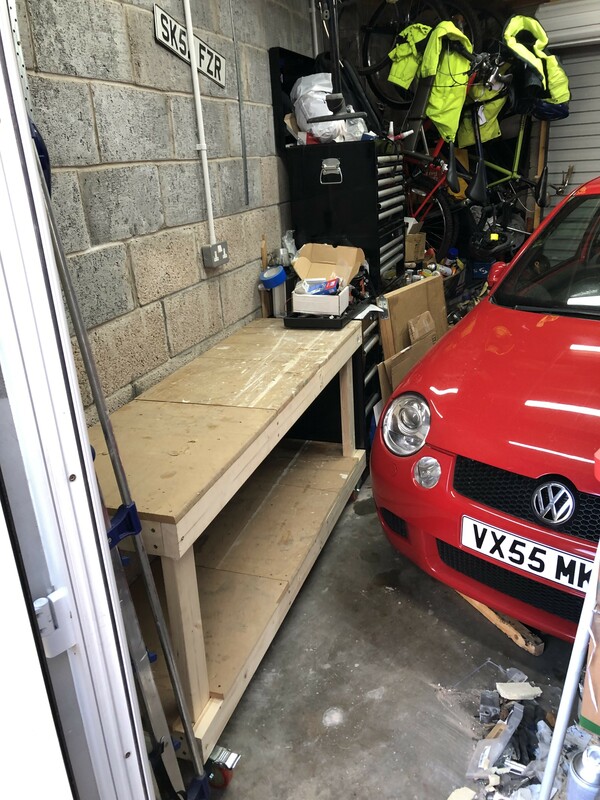 Lower shelf is for tools, top is for working, already unpacked my tower drill and bench grinder, got an old laptop and a small box compartment shelf to go in there too - planning to build an aerosol shelf, something to mount my compressor in + a purge of empty boxes from the shelves on the other side. 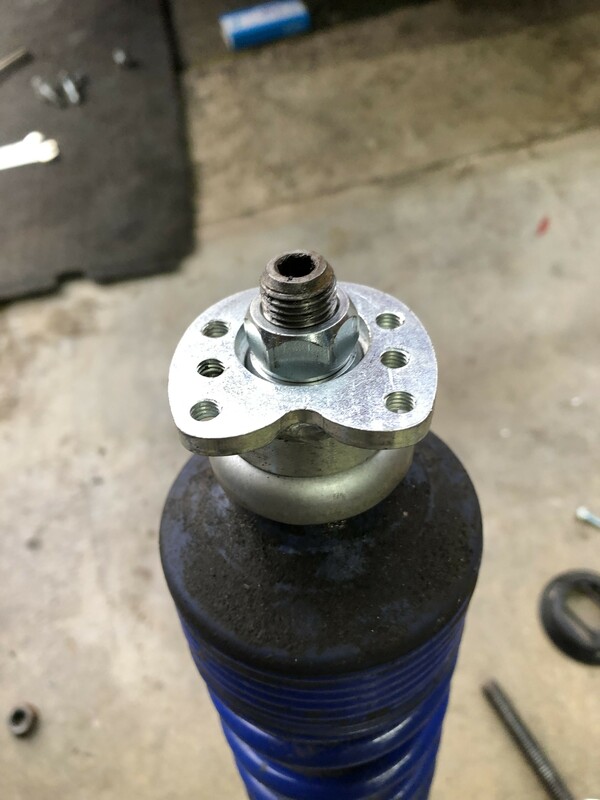 Got the M16 to 3/8 adaptor into the pump, then found out the the hydraulic hose wont fit as the alternator is too close, worse still its too tight for both adaptor and then the connector, another to add to my white elephant collection! Last thing I attempted was removing the dust boot off the inlet on the PS pump, managed to jab the side of my thumb into the sharp edge of the very bottom of the slam panel, claret started to flow, blood dripping everywhere - it was like a scene out of Dexter - at that I just packed everything away having achieved nothing on the PS. Try your 3/8 delete pipe on the pump as it had a 90 on each end then you could join the new pipe on it with a 3/8 M-M connector. You might get away with the extra length, but you might find it wont go where it needs to. The 90 connections point in the same plane - if a 90 does fit, I could ask for them to be angled in opposite directions and the line to be a bit shorter too. Ran the hose under the drivers chassis leg, up into the engine bay under the PS reservoir and down to the rack. The only thing that is behaving oddly is the reservoir feed, there is too much extra hose. I was surprised how little fluid it required, didn't even get through a litre of mineral fluid. Fitted the other adjustable top mount - a lot quicker this time. Looking at the short bolts problem, It seems with the weight of the Lupo I was able to tighten them at least a few more turns, I got some new 12.9 20mm long bolts - typically they are different sizes, I pulled the original bolt out to find it was also 20mm!, I had measured the one that holds the top plate to the cone that goes in the tower. 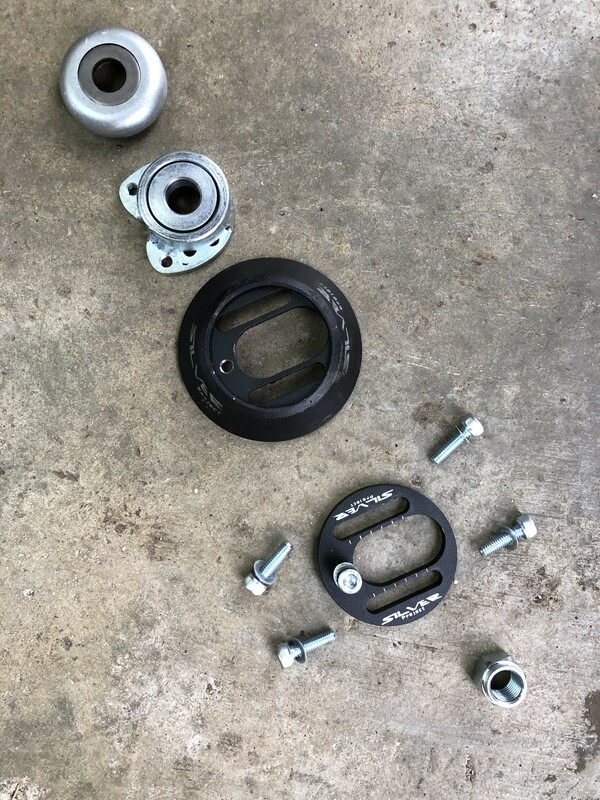 @cj1 -BTW these lift the suspension by about 10 to 15mm - you need 25mm long bolts and the washers are already starting to get chewed up, Im going to get replacements for these as well - they probably will need filling to allow them to sit level next to each other. I beleive all the MOT problems have been fixed - only unknown is emissions, hoping on the morning of the MOT a good long run will sort it - booked for the 10th - couldn't get anything earlier. Looking good! And thanks for the handy tips regarding the top mounts! Sadly Lupo failed - despite the drive and some redex it still failed on emissions, engine light and now rust! At least this time they didn't moan about lack of seat adjustment, just a parting shot about cable ties on fuel filter! Rust - The passenger entire side had been replaced at some point, whoever did it didn't do a good enough job of protection and its been rotting form the inside out. The worst part was between the door and rear wheel arch - I had got this welded before I took the Lupo off the road. Also someone had jacked the Lupo up away form the front jack point and flattened the sill. The repair weld passed the last attempt at MOT, but failed this time with no real change! worse still "inadequately repaired". really not pleased about wasting money on that repair - unsure if I should open up the patch to see exactly what they have or have not done. Emissions - failed both idel and fast idle. 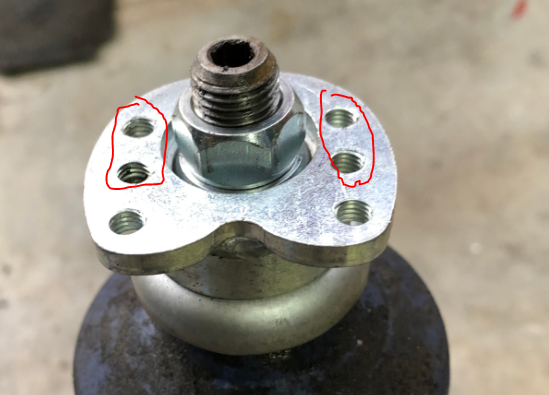 I have added one of those thermal gaskets on the inlet manifold, it claims original gaskets are not required... starting to think this may be the issue. I did add a lambda pocket to over come too much oxygen fault, this may now not be seeing how much fuel its getting. Or the remapped ECU is chucking so much fuel in its always been over on emissions and the mechanic PO just got his mate to write out the test slip. 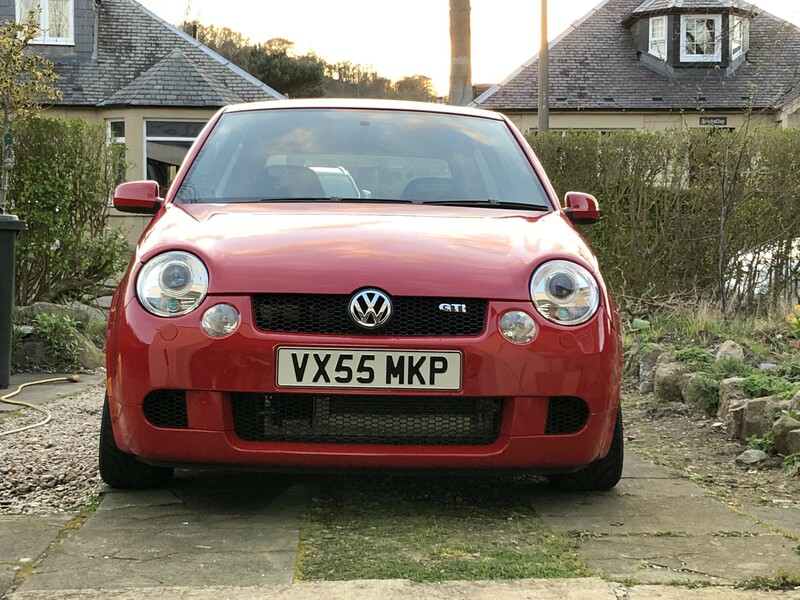 Still got a standard Polo ECU to try, but it may not be happy with the inlet and exhaust manifolds. Engine light - I checked on VCDS, ECU reported - 17526 lambda heating new lambda fitted??? 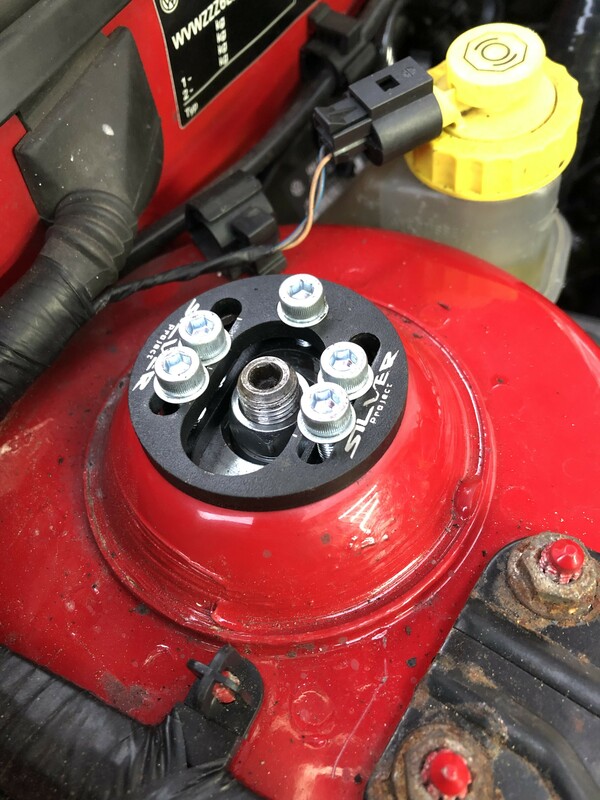 16686 cylinder 2 misfire - new plugs, coil and recent leads? Elsewhere in VCDS intermittent comms with outside temperature sensor. You're only seeing a small percentage. in the middle - I assume inner sill - are vertical tabs spaced on 60mm centres, 25mm long 20mm wide. The ones remaining are beyond repair, most are rusted off - I assume these are the meat in the sandwich where the spot welds go? or do the spot welds go between the tabs?? They had run a strip of metal at the rear between floor and frame rail, but nothing done to the vertical joint, considering how the rest of the sill is it will all be near to failure. And covered up the rust going up the sill. I'm not going to rush this to get the car into retest. 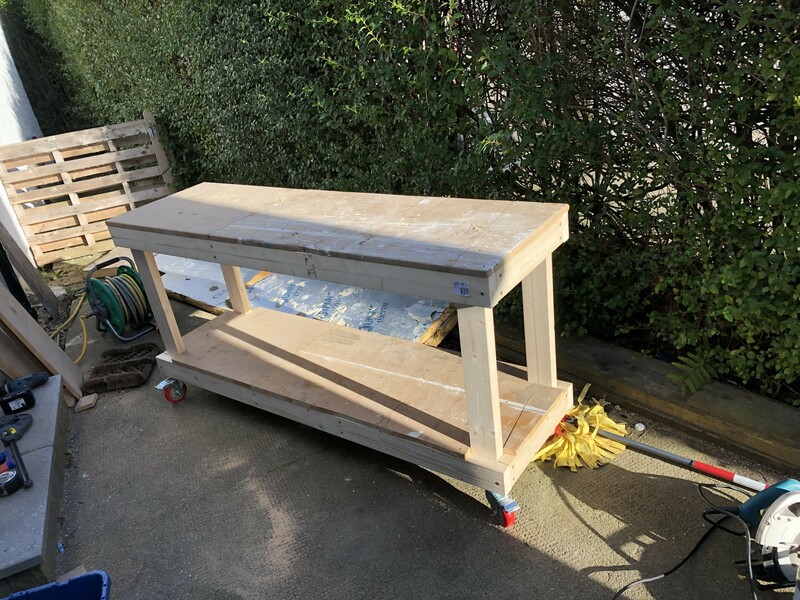 I have borrowed a Gas-Mig welder off my Brother in law, so far the repair plan is to use 1.2mm thick pre-made L shapes of steel, zinc coated to replace the strip on floor and outer sill, planning to drill holes 60mm apart in the vertical and plug weld. The zinc will create toxic gas, so respirator will be required. what purpose did they serve having a gap between? - to allow rustproofing to go into the spaces? ?